The judicial appointment process of chief justice Md Raus Sharif and Court of Appeal president Zulkefli Ahmad Makinudin as additional judges was in accordance with the Federal Constitution, former chief justice Arifin Zakaria said today. Arifin also confirmed that he made the recommendation on their appointments to the king on March 30. 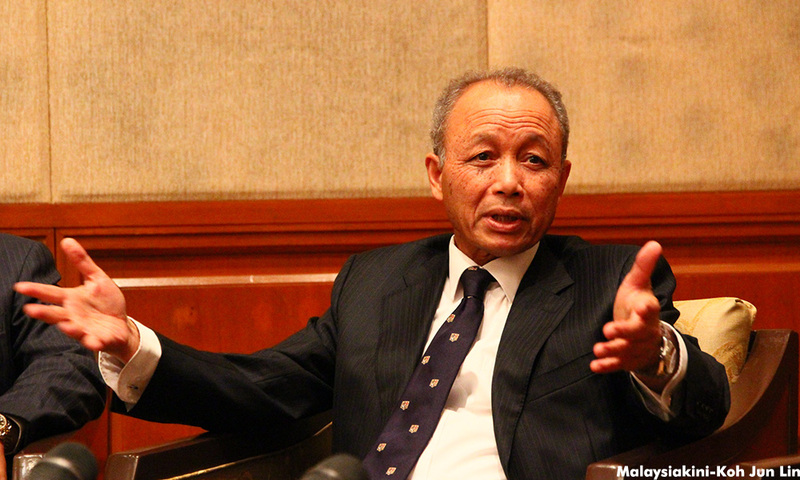 "That's on record, I can say that," he told Malaysiakini. Arifin was responding to several comments, including from a former chief justice and the Malaysian Bar, that the appointments of Raus and Zulkefli were unconstitutional. He has been dragged into this constitutional dispute because his advice to the ruler was made on March 30, while the government only announced the appointments last week. Arifin said it was his view that the appointment process was done according to the constitution. However, he was reluctant to comment any further. "I think the matter is in dispute and there is no need for me to say anything. It is not appropriate at this juncture. "They are going to challenge it in court, so it is not right for me to say anything." Asked whether he would give his opinion if the matter is argued in the court of law, Arifin said: "Yes, if they have to call me." On July 7, the Prime Minister's Office (PMO) issued a statement that Raus would continue to hold the post of chief justice for another three years, beginning Aug 4. Before the appointment, former chief justice Abdul Hamid Mohamad had argued that a further extension to the tenure of Raus after the 66 years and six months would be unconstitutional. The Malaysian Bar described the appointments as "blatantly unconstitutional" and announced that it would hold an emergency meeting on the matter. PKR de facto leader Anwar Ibrahim questioned if prominent lawyer Muhammad Shafee Abdullah was involved in the extension.